Hello! Happy new year! After a small festive break away from bloggington, I'm hoping to get back in the swing of things and to take my humble wee website 2-tha-nxt-lvl (see, already started). If all goes according to plan I'll be posting more interesting things, more often, starting NOW. I also hope to get a little better at actually writing stuff too - as you might (may?) have noticed, I'm a bit clunky. The photo montage above is the third instalment of the chronological 12 photos / 12 months thing I do every year (2008 is here / 2009 is here). A trilogy! Not bad going. As always, it's not strictly 12 pictures to a month, mainly because of a few camera issues that meant I had to shuffle stuff around. 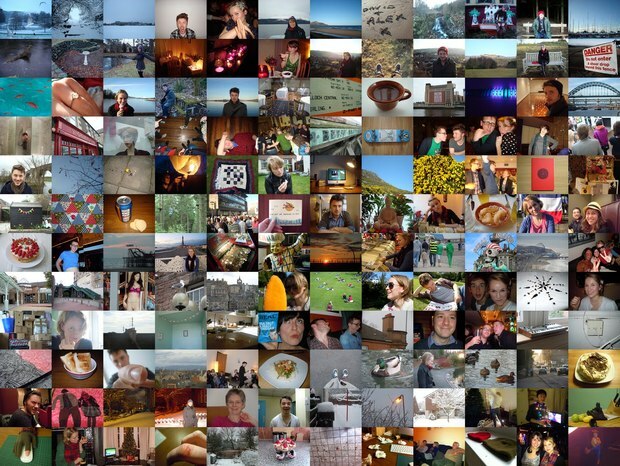 The photos aren't great either but they're not really supposed to be - just silly wee snapshots from my silly wee year. 2010 was great. Quite a quiet one, but that's ok. It wasn't bad work-wise, pretty good home-wise. No complaints. How about you? I hope you had a good one. I'm really excited about 2011 now though. It's all creaking into motion and, fingers crossed, it'll be THE BEST YEAR THERE'S EVER BEEN.